Sangli, a region in the state of Maharashtra in India, is an area where the grape culture is extremely important. 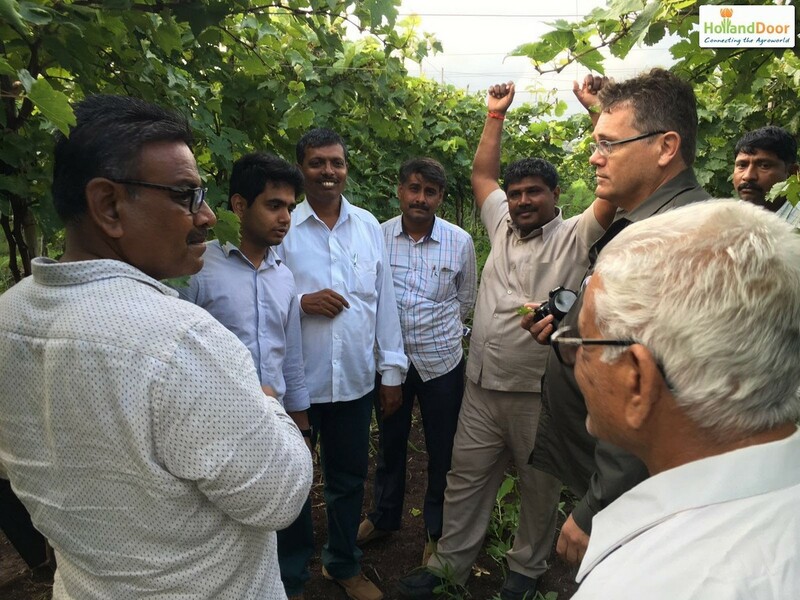 Only second after the Nashik region, Sangli has the largest grape production of Maharashtra. The total area is over 10,000 ha, with its most important kind the Sonaka (clone of the Thomsan Seedless). 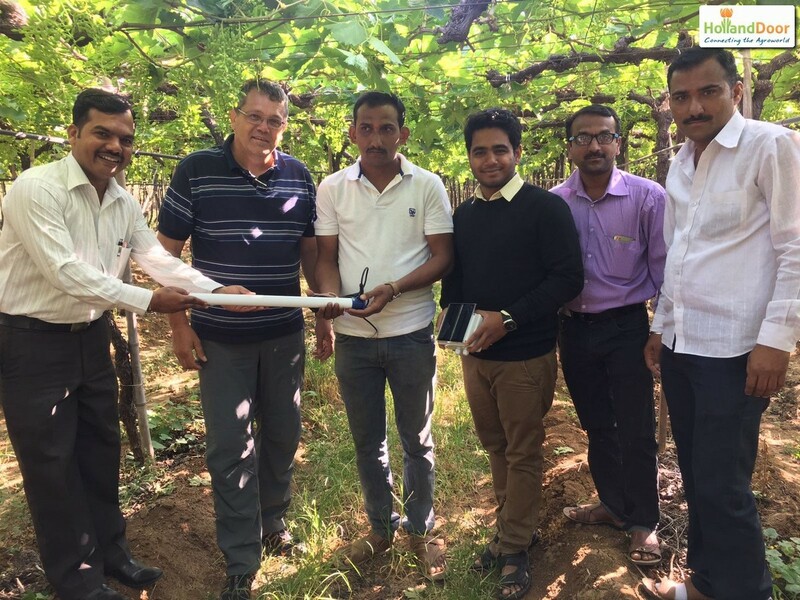 HollandDoor and Kobus Bothma developed on request of Maharashtra Grape Growers Association (MGGA) a tailormade training and crop consultancy program in order to give as many grape growers as possible the opportunity to profit from the knowledge and recommendations given. Mr. Kobus Bothma is an agronomist consultant from South Africa who specializes in soil and nutrional management focusing on the grape culture. He has been a consultant for over 25 years in South Africa as well as in other African countries. The program started in August 2016 and about every 2 months a training mission to Sangli area takes place. 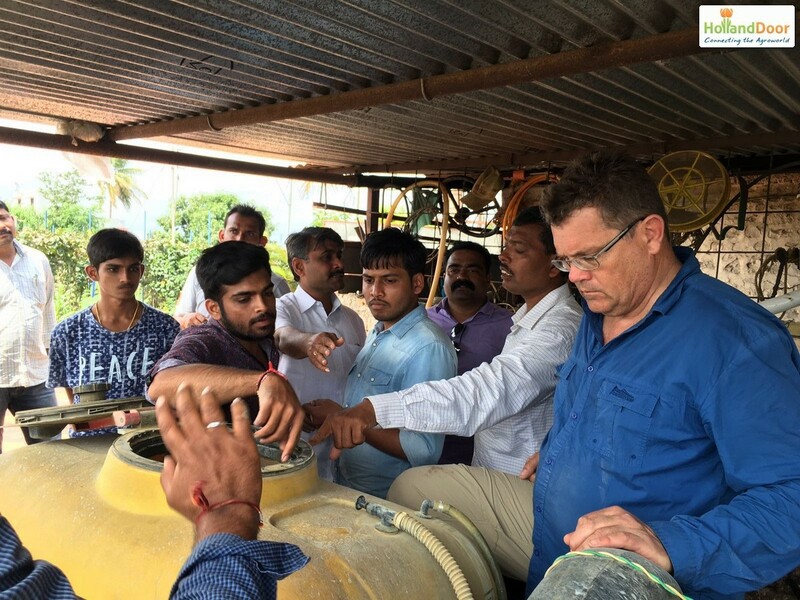 Every mission, about 16 - 20 farmers are visited. Special attention is paid to the soil, the other harvest conditions and the used techniques. The growers are given recommendations about possible measures that they could take and were given practical recommendations with regards to improving the efficiency of their production. 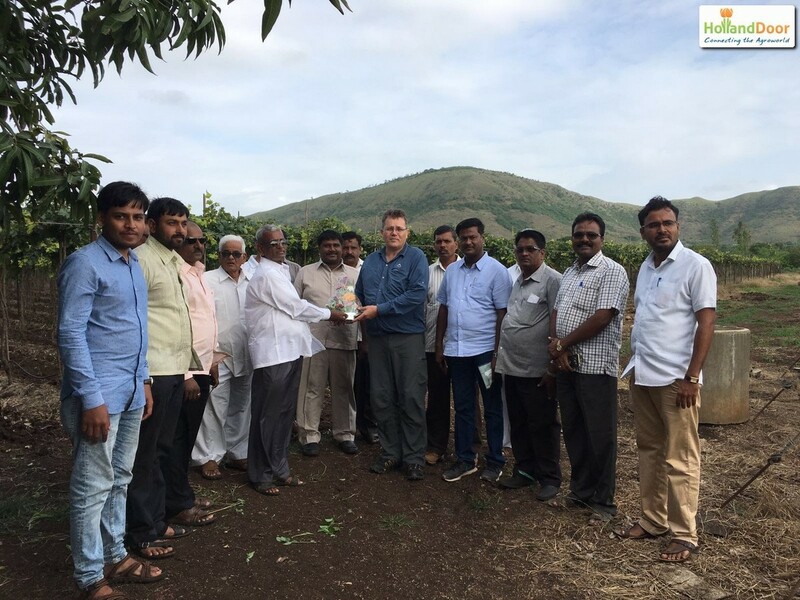 Furthermore, also lectures about for example the importance of soil preparation and proper nutritional management are given during meetings of the MGGA. A large group of grape growers are reached with this lectures. In April 2017, after 5 missions, is the program evaluated by MGGA. Both the grape growers group as well as the MGGA members were very enthusiastic about the services provided. Based on this positive evaluation, the training missions will be continued in 2017.